The Shawshank Redemption is one of favorite movies. I’ll bet I’ve seen it a dozen times. But I clearly don’t love it as much as financial writer Trent Hamm, who has practically memorized the beloved prison drama about Andy Dufresne, a soft-spoken banker wrongfully imprisoned for killing his wife, and his journey to rebirth. Hamm recently penned a great piece for thesimpledollar.com in which he shared these life and money lessons from The Shawshank Redemption. Don’t let bad luck keep you down. Both inmates and guards treat Andy Dufresne savagely when he arrives at prison. But he doesn’t give up. Stuff happens in all our lives. And it isn’t always fair. A lay-off, an illness, an accident. We can’t control these things, but we can get up from the blow and keep marching forward. No matter how big a mess you face, you can make things a little better every day until you’re back in the game. Take advantage of the opportunities you have, not ones you wish you had. Andy is stripped of nearly everything when he enters prison. That would depress anyone. But Andy looks around and finds a way to leverage his financial knowledge to make life a bit better for himself and his fellow prisoners. He helps the guards with their tax returns and later becomes the Warden’s bookkeeper. Are using your skills to make the most of your current situation, or are you convinced everything would be great if only you had that other job? Be valuable to others. Both Andy and his smuggler pal, Red, understand that helping others meet their needs and solve their problems is a key to success. What do you offer that makes you valuable in the workplace or marketplace? Have a big dream and a plan. Andy constantly operates on two levels. He works his job in the Warden’s office while planning to escape. His job is more than a way to pass time and curry favor. He uses the job to fund and execute his Big Dream. What’s your Big Dream? What do you see when you look to the horizon of life, and how do you plan to get there? Break big projects into small tasks. Andy tunnels his way to freedom by digging through the walls just a little bit every day for many years. This is a great metaphor for achieving long-term financial freedom. 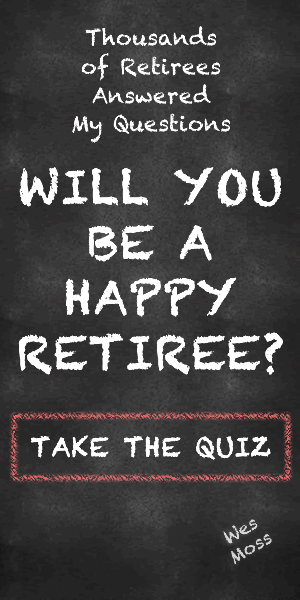 With the discipline to save a little bit every day over the years, you can have the retirement of your dreams. Have a Plan B. Andy’s tunnel allows him to escape when the corrupt warden turns against him. What’s your escape tunnel? Do you have an emergency fund? Insurance? A second set of job skills? When it hits the fan, and it always does, such contingencies can make all the difference. Take some risks. Andy’s rise to influence and privilege begins when he dares to approach the prison’s most brutal guard with unsolicited money advice involving the guard’s wife. That conversation could have ended very badly. Instead, it changed the course of Andy’s future. It’s important to take smart risks in life. Keeping your head down and always playing it safe is a shortsighted strategy that will always deliver mediocrity. Respect and give to others. In exchange for helping that guard out of a jam, Andy requests a reward – not for himself, but for his entire work crew. As a result, he wins their respect and affection. It’s hard to make meaningful friendships as an adult. But the best shot we have is to give of yourself without questioning or expectation. Stick to it. Andy Dufresne’s redemption takes almost 20 years of painstaking daily work. But nothing worth having comes fast or easy. Career success, fulfilling marriage – the good stuff takes time and persistence.